Colour and B&W ws. 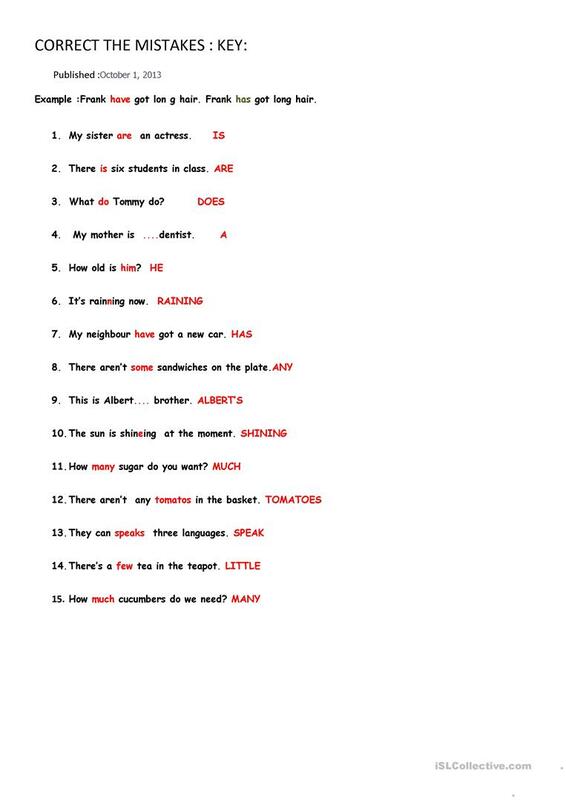 sts have to correct the sentences.All the sentences have a mistake.Key is given.I deleted this ws some days ago. This ws is usfeful to check some grammar points. The present downloadable handout is best suited for high school students, elementary school students and adults at Elementary (A1), Pre-intermediate (A2) and Intermediate (B1) level. It can be used for enhancing your pupils' Speaking, Reading and Writing skills.